The Manchester Pride Parade is one of The Festival’s most highly anticipated events, with thousands of people marching proudly together through the streets of Manchester in front of tens of thousands of supporters cheering them along the way. 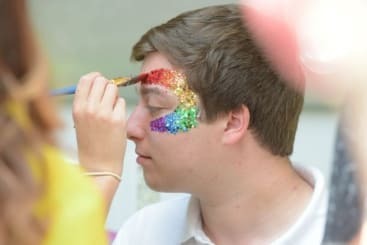 To celebrate Manchester Pride, we will be hosting a FREE glitter station at Urban Exchange between 12-4pm to get guests glitter ready for the pride parade. We’ll also have balloon modellers, providing high-quality, multi-balloon designs for our visitors. 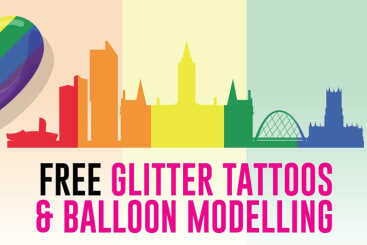 The beautiful glitter make up and balloon modelling is guaranteed to be a crowd pleaser, so make sure you don’t miss out! To confirm your interest, visit the Urban Exchange Facebook. Whether you’re a group of friends gleaming with pride, colleagues and allies standing shoulder to shoulder or an organisation with an important message of support, the Manchester Pride Parade places you at the centre of the celebrations and Urban Exchange are set to have you look and feeling your best.